A/X ARMANI EXCHANGE MENS COTTON SCARF - 100% AUTHENTIC - NEW WITH TAGS ! ARMANI EXCHANGE MENS RED HAT/CAP - 100% AUTHENTIC - NEW WITH TAGS ! Armani Exchange A|X Geo Camo Stenciled Polo Shirts Mens L Dark Green NEW Fab! 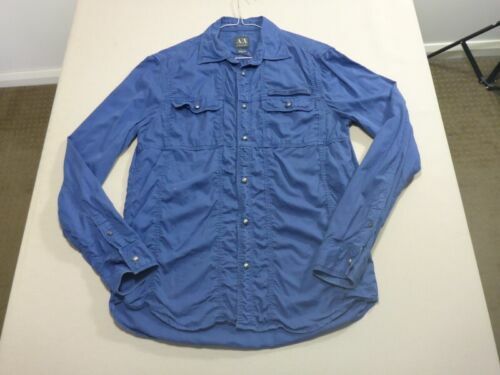 029 MENS NWOT ARMANI EXCHANGE DEEP BLUE L/S SHIRT SZE SML $180 RRP.